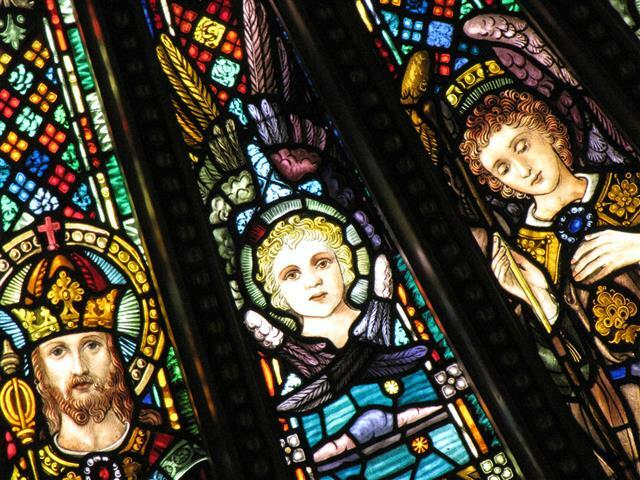 On May 20 and 21, Blessed Trinity will participate in the New York Landmarks Conservancy’s Seventh Annual Sacred Sites Open House Weekend, inviting the public to experience our house of worship as a repository of faith, art, and history. Members of our docent team will be on hand Saturday, May 20, from 2 – 4 p.m. and on Sunday, May 21, from Noon to 2 p.m. to explain the unique features that make Blessed Trinity Church the purest replication of 12th century Lombard-Romanesque architecture in the United States. You’ll be able to examine its handmade bricks set in a style dating back to the Middle Ages, learn about the elaborate display of medieval iconography on the terra cotta portico, and marvel at more than 2,000 symbols summarizing Christian beliefs in ceramic tiles, paintings, sculpture and locally designed and manufactured stained glass windows. Blessed Trinity, listed on the National Register of Historic Place, is wheelchair accessible.